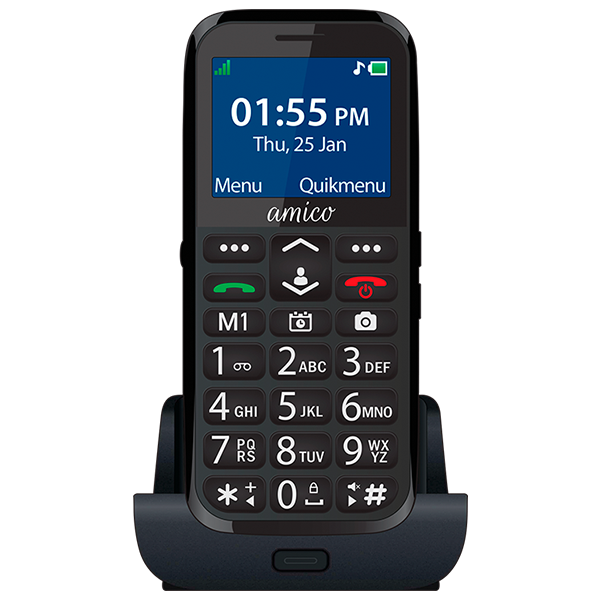 Easyfone presents Amico- A Phone for Senior Citizens. This amazing phone with brilliant features keeps you close with your elders and help them in every possible way. The phone comes with a cradle charger that allows easy charging, large keys with 8 Photo Speed Dial allows to connect easily in case of emergencies, and unique phone finder key. A must-have phone for all elderlies to help them live their lives independently!